Like the look of a tie but not the stress that comes from wearing one? 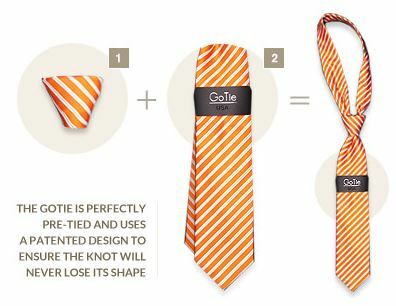 If so, we think you will love GoTie - The Tie, Reinvented™. These innovative, adjustable ties employs patented slide-knot technology that allows you to tie the perfect knot every time. Best of all, they look, feel, and wear like high quality traditional ties, allowing you to have the look of a designer tie without the hassle of trying to figure out how to tie a tie. Gone are the days of watching Youtube to learn how to tie a tie with GoTie! Best of all, the tie looks great on any guy, no matter if they are 5' or 7' tall! To learn more, check out Budget Earth's GoTie Review here! Want some of these awesome ties for yourself or a guy in your life? Budget Earth and some of their favorite bloggers are excited to be working with GoTie on this awesome giveaway! One very lucky reader will win a $100 Gift Card to purchase ties of their choice! To learn more, make sure to read the rules below and then enter through the Rafflecopter! One lucky reader will win a $100 GoTie Gift Card. Sweepstakes ends October 25th at 11:59pm ET.